A year into his tenure as the country’s top intelligence official, Director of National Intelligence Dan Coats is reshuffling the office that oversees America’s 16 intelligence agencies, consolidating many functions under a new layer of management intended to refocus its work around a new set of security challenges. 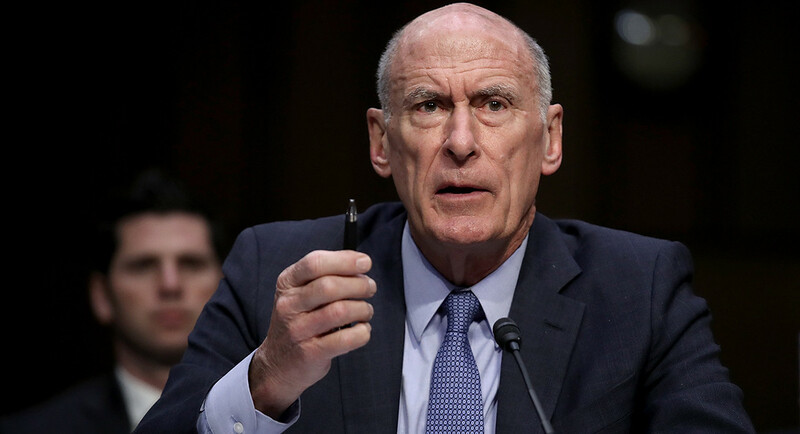 The reorganization plan was unveiled Wednesday to employees of the Office of the Director of National Intelligence, and provided to POLITICO by Coats’s staff. The office, created in the wake of the September 11 attacks to enforce order among the nation’s often-squabbling intelligence agencies, has struggled over the years to exert control over a world dominated by the CIA, FBI, NSA and other large intelligence-gathering agencies with powerful bureaucracies. The yearlong reorganization effort, driven in part by a survey of employees at ODNI and the agencies it oversees, will focus the office on four major functions: integrating intelligence streams from the various agencies it oversees; allocating resources among the agencies; promoting national security partnerships that include the private sector and foreign intelligence services; and developing strategies to grapple with future threats. In interviews, Coats and his principal deputy said the ultimate goal is to streamline the office to make it more agile in responding to changing threats and rapidly evolving technology, and to push decision-making out of the top-level offices and down to the lowest logical level of the bureaucracy. Coats briefed the DNI staff on his plans at his Liberty Crossing headquarters on Wednesday, and released a public notice of the transformation initiative late Thursday afternoon. Although the proposed reorganization will not cut any positions, and will actually promote four new deputy directors, an ODNI spokesman said it is designed to be “resource neutral” by saving money in other ways. Though Coats and the ODNI have notional authority over the CIA, FBI, NSA and numerous other agencies, influence in the intelligence universe is often dependent on personalities – especially in the Trump era, where relationships with an unpredictable president can count for more than experience or stature in the field. A former ambassador and Republican member of the Senate Select Committee on Intelligence, Coats has not been as highly visible among Trump’s senior advisers as former CIA Director Mike Pompeo, who has just been nominated to take over as secretary of state. The overhaul plan itself, however, represents a win for Coats. When Trump first tapped him as the nation’s top intelligence official last year, the administration was also floating the idea of having New York financier and Republican donor Stephen Feinberg conduct a sweeping review of U.S. intelligence agencies. Coats quashed the idea of an outside review and launched his own year-long reform effort instead. One of the most unpredictable actors for the U.S. Intelligence Community is its boss in the Oval Office – as was illustrated last week when Trump dismissed intelligence preparation and protocol by immediately accepting an invitation from North Korean dictator Kim Jong Un for a face-to-face summit. The quick decision surprised not only the South Korean delegation that delivered the message, but Trump’s own advisors – including Coats, Defense Secretary Jim Mattis, and Deputy Secretary of State John Sullivan – who had been expecting to debrief the South Koreans themselves. Just a few days after that shock, Trump took to Twitter to fire his Secretary of State, Rex Tillerson, and announce he was moving Pompeo out of the CIA job to replace him. The juxtaposition of those events in a single, jarring week raises the question of whether any intelligence reorganization can overcome the impulsiveness and purposeful disruption of an unorthodox commander-in-chief. Coats said his survey of the intelligence community leadership and rank-and-file workforce suggested that the ODNI office is still essential to avoiding the kinds of agency stovepipes and disconnects that allowed the 9/11 hijackers to slip through the cracks – as well as to develop long-term strategies for staying on the cutting edge of information technology and adjusting to an ever-changing array of threats. Intelligence-community leaders did complain, however, that the ODNI’s 17 National Intelligence Managers too often stray into tactical issues better left to the separate agencies, instead of staying focused on more strategic goals. There were also concerns about ODNI issuing redundant “taskings” to the various agencies, and reports of ongoing tensions between civilian and defense intelligence agencies that operate under different authorities and guidelines. Employees also worried about the lack of common databases that allow information to be shared across the entire intelligence community, and misunderstandings about decision-making authority that too often result in “analysis paralysis” that leads to no concrete decisions.